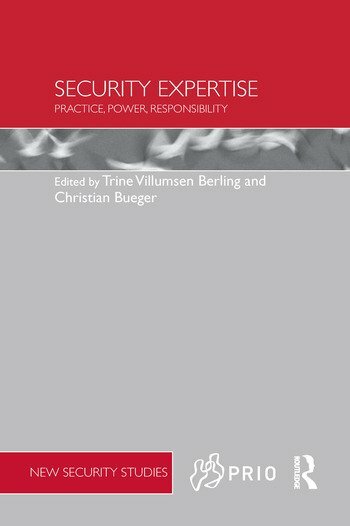 This volume brings together scholars from different fields to explore the power, consequences and everyday practices of security expertise. Expertise mediates between different forms of knowledge: scientific and technological, legal, economic and political knowledge. This book offers the first systematic study of security expertise and opens up a productive dialogue between science and technology studies and security studies to investigate the character and consequences of this expertise. In security theory, the study of expertise is crucial to understanding whose knowledge informs security making and to reflect on the impact and responsibility of security analysis. In science and technology studies, the study of security politics adds a challenging new case to the agenda of research on expertise and policy. The contributors investigate cases such as academic security studies, security think tanks, the collaboration between science, anthropology and the military, transnational terrorism, and the ethical consequences of security expertise. Together they challenge our understanding of how expertise works and what consequences it has for security politics and international relations. This book will be of particular interest to students of critical security studies, sociology, science and technology studies, and IR/security studies in general. Trine Villumsen Berling is a Post-Doctoral Researcher at the Centre for Advanced Security Theory (CAST), University of Copenhagen, Denmark, and author of The International Political Sociology of Security (Routledge 2015). Christian Bueger is Reader in international relations at Cardiff University, UK, and co-author of International Practice Theory: New Perspectives (2014, with Frank Gadinger).